Having started the current production season picking a milk price as high as $7 per kilogram of milk solids, Fonterra's now facing some possibility it might not even make as much as $6, if global prices don't pick up from here. Back on May 23 the then Fonterra chairman John Wilson, in making the $7 opening forecast price, said it would be "very welcome news for the co-operative’s farmers as they look ahead to the new season". “Demand is expected to remain strong – especially from China and for butter and AMF. We are expecting the global dairy market’s current prices, especially for fats, to continue throughout the new season." Such has not proven to be the case, and in addition, extremely favourable weather conditions in New Zealand have seen production soaring above last season's levels, which is proving too much of a good thing and is helping to put downward pressure on global prices. This is a key week for Fonterra, with another GlobalDairyTrade auction to be held in the early hours of Wednesday morning, while on Thursday, the co-operative will issue its latest Global Dairy Update as well as reviewing the milk price forecast as part of its first quarter business update. There may also be some update on the review of various business activities, including the disastrous investment in China's Beingmate Baby and Child Food Co.
At the moment Fonterra (as of October) is forecasting (unusually) a range for the milk price, which is $6.25 to $6.50. The move forecasting a milk price range has been as Fonterra looks to improve the quality of its forecasting - having done an abysmal job of attempting to forecast its financial performance last year, which ended in a loss for the co-operative. But even the $6.25 low point of that range is now looking high when placed alongside what the economists for the big four banks are picking. At the moment Westpac is picking $6.25, while ANZ recently cut its forecast to $6.10. ASB last month dropped its forecast for the second time in consecutive months, down to $6 and now BNZ economists have moved their forecast down from $6.30 to $6. Will Fonterra therefore drop its forecast on Thursday? There seems a fair chance, but first it will have a look at the GDT prices on Wednesday morning. Prices on the NZX milk futures market are up, which might be a positive pointer - although its fair to say that the actual results at the auction not infrequently run counter to what the pre-auction anticipation is. Overall prices on the GDT haven't recorded a gain since May and in that time have dropped by more than 20%. The key Whole Milk Powder Prices are down about 19% over the same period. BNZ senior economist Doug Steel said global dairy prices have been trending lower at the GDT auctions, as initially more milk out of the EU and latterly out of NZ pressured prices lower. "Recent equity market wobbles and slower economic growth indicators out of China as US-Chinese trade tensions persist has not helped perceptions of demand. Meanwhile, a major slump in crude oil prices since early October is unhelpful for dairy prices. The GDT Price Index has yet to record an increase this season. "The cumulative fall from the start of the season is a touch over 20%. For domestic milk prices, a generally lower NZD has been a support but not enough to offset the reduction in international prices and even less so given the currency has pushed higher over the past month." Steel said NZ milk production in October was 6.5% higher than a year ago, lifting production for the season-to-date 6.0% above the same period last year. "The increase has been stronger than we anticipated and sees us lifting our forecast for milk production growth for the season as a whole up to 5% (from 2% previously). This would see milk production easily reach an all-time high, surpassing the previous peak in 2014/15. "The weather has been generally favourable, although not without incident with too much rain recently causing flooding in parts of the bottom half of the South Island. "Somewhat perversely we continue to monitor the risk of an El Nino weather pattern, although NIWA suggests weather patterns may differ from what is normal under El Nino. It’s still worth watching even if recent rainfall will keep pastures going into the New Year. Ongoing favourable weather could easily see more milk production than forecast." Steel said that the BNZ economists' forecast of a $6 milk price actually includes some improvement in international prices over the remainder of the season. "If that improvement were not to occur or especially if international prices were to continue falling, milk prices will likely end up lower than we currently think. Such a scenario would likely see a milk price under $6. The downside risk is easy to see." But on the other hand, Steel said some price support was possible with NZ milk production now past its peak, Australian production lower than a year ago, and EU production growth slowing. 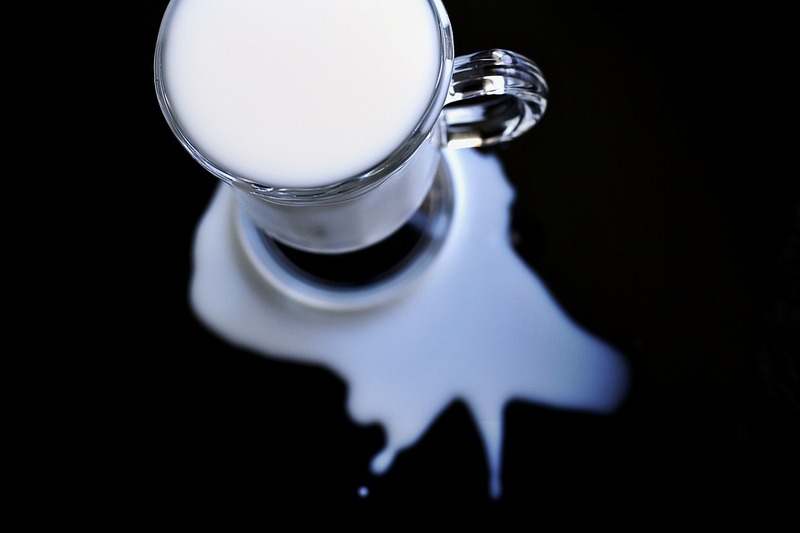 "Indeed, EU milk production slipped just below year earlier levels in September. Expected slower milk production in the EU is a key reason why we think international dairy prices will improve over coming months. The EU skimmilk powder stock rundown is also expected to see downward price pressure fade over time. "...At this point, we see $6.00 as sitting in the middle of a still wide range of possible outcomes by season’s end. "It suggests downside risk to Fonterra’s current forecast range of $6.25 to $6.50. That is not to say that something in that range cannot be achieved. But we think it would require a decent rise in international prices from here, a much lower NZD, costs to fall, or the achievement of better-than-GDT prices for sales outside of that platform, or some combination of the above." been tough in China too! looks like they have given up control of processing assets. imagine the USA tariff on lucerne imports! Objective: This study was carried out to investigate the possible application of Broussonetia papyrifera (B. papyrifera) silage as a functional feeding stuff in dairy cattle. Methods: Seventy-two Holstein cows were divided into four groups randomly and allocated to 6 pens with 3 individuals in each group and fed the original total mixed ratio (TMR) in the dairy farm or the new TMR with 5%, 10%, and 15% B. papyrifera silage, separately. Feed intake were recorded, milk and blood samples were collected, and milk composition, blood metabolites and milk fatty acids composition were measure at the end of the experiment. Results: Dry matter intake of cows decreased when they fed on diet with B. papyrifera, but no differences were observed in body condition score, milk yield, milk protein and lactose, feed efficiency and serum metabolites between groups. Both 10% or 15% of B. papyrifera silage in the diet significantly increased the immunoglobulin A (IgA) and IgG in serum, 15% of B. papyrifera silage increased the content of serum catalase, superoxide dismutase, total antioxidant capacity, and decreased the content of 8-hydroxy-2'-deoxyguanosine. Furthermore, 10% or 15% of B. papyrifera silage resulted in a significant decrease in the milk somatic cell count, and increased the polyunsaturated fatty acids content in the milk. Conclusion: The diets with 10% to 15% of B. papyrifera silage might enhance the immune and antioxidant function of dairy cows and increase the polyunstaturated fatty acid concentration in the milk. The mulberry is interesting,Im trying blue lupin now maybe Mulberry. I need an investor, how much have you got? before I hit up Shane Jones for the rest. I have tried to stay out of the "Pick a Price" discussion, it's a mugs game. If Fonterra with all those 100k plus employees can so royally screw up their forecasts. Compare beginning of season forecasts to actual payouts for the past 5-7 years. What hope have I. However here goes - taking into account the recent widespread rain most of us have just had nearly every region in NZ is going to have a good production season, in addition new management will be desperate for some integrity in their numbers - next week's update will struggle to have a 6 in front. In some ways the best outcome is to slightly revert back to dairy board days where a little was kept in reserve for the end of season announcements. I know against the new rules but it worked for us. So $5.80 to $6.00. And I wouldn't even bet a box of beers on that.